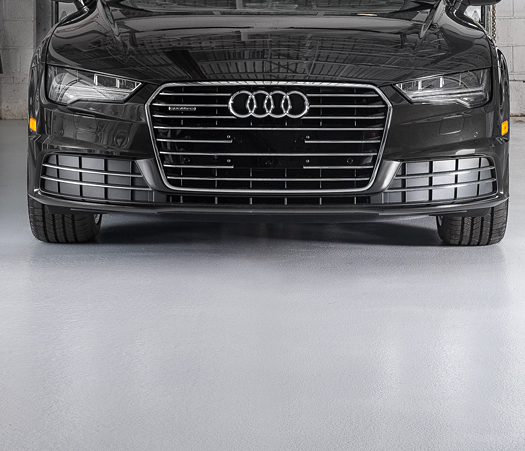 The shop floor at Schmitt’s Audi Volkswagen is a poured concrete floor that was infused with iron filings during a construction project in 1947. Overtime, the company had removed, replaced and added automotive lifts in the service bays and repaired portions of the concrete surfaces. 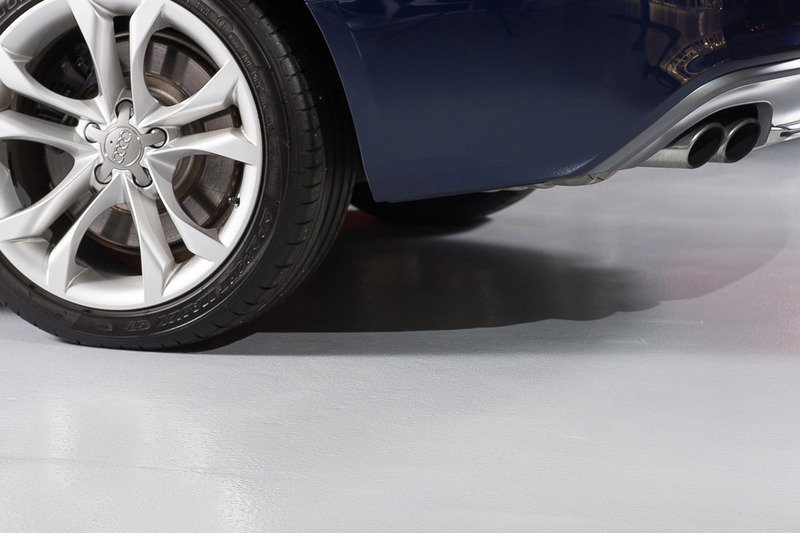 After installing Tennant’s Eco-Flex™ Deck System, topcoated with Eco-HTS™ 100, the floor now has a uniform and consistent finish with improved slip resistance. 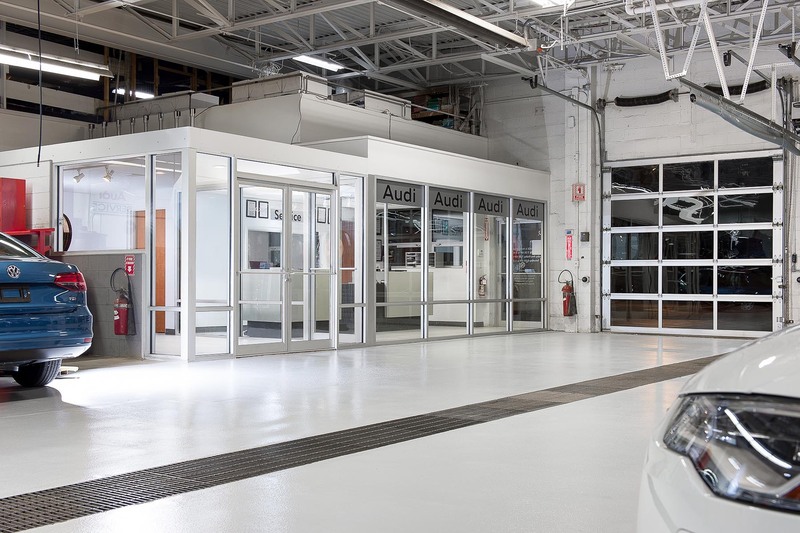 The choice of light gray provides a high level of light reflection for improved visibility in the shop as well as easy cleaning maintenance. Tennant’s Eco-HTS™ 100 last's up to twice as long as standard moisture-cured urethanes for exceptional durabilty and maintenace performance.